This 3D party game based on the Tamagotchi franchise promises tons of fun as up-to-four players can go head-to-head in the most comical and cute campaign race to become the most popular Tamagotchi on Tamagotchi Planet. Tamagotchi Party On! 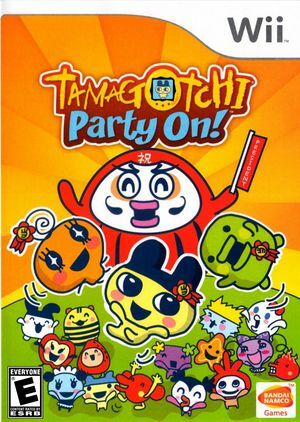 is a seamless blend of both party game and board game as players swing, shake, and turn their Wii controllers in order to control their favorite Tamagotchi. Tamagotchi Party On! allows players to choose their favorite virtual pet and engage in a hilarious campaign to become the next president of Tamagotchi Planet. The graph below charts the compatibility with Tamagotchi Party On! since Dolphin's 2.0 release, listing revisions only where a compatibility change occurred. This page was last edited on 13 January 2018, at 14:26.